I follow www.pianodao.com, written by Andrew Eales. It is full of interesting ideas, which, although mainly piano focused, are useful for other instrumentalists as well. Here’s a link to a recent post about Active Repertoire where you can also find a free download of the ‘Active Repertoire’ sheet. The idea is that you should always have some pieces that you can perform at the drop of a hat, preferably by heart. I was caught that way recently in a school assembly when I was asked to play as the children came in, on a cheap and cheerful keyboard balanced across a couple of chairs. My ‘active repertoire’ is very small, and consists mostly of my favourite Children’s pieces by Kabalevsky, Oh, and the opening theme and second theme of ‘Fur Elise’, and most of CPE Bach’s ‘Solfegietto’. That was a bit of a nasty moment; I was rattling through, hoping the keyboard wouldn’t fall of the chairs, when I realised I didn’t know what came next. Luckily the children had left the hall by then so I could just come to a full stop. But these are all pieces that I learned when I was about ten years old. Which is a long, long time ago! After so many years it is time for something new! I shall be encouraging my pupils to take up the challenge, so that they always have a tune ready to play to Grandparents and Aunts and Uncles. 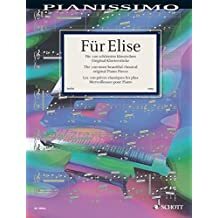 This entry was posted in Piano and tagged memorisation, repertoire. Bookmark the permalink.